I recently had a friend ask me if I had any experience with an infant who couldn’t be set down. I responded, YES! I’ve had four! I can rarely set baby down without really making him unhappy at his core. Therefore…I rarely set him down, the house is in dire need of a cleaning and I am thankful for anyone who drops by to help hold him. Why are newborns fussy? I imagine being born into this world is stressful. Imagine; Baby is floating happily, weightless, warm and constantly fed. Suddenly, they’re ejected from their home via birth and out into the cold air and feel hunger for the first time. I wouldn’t want to be set down either! That is, unless it’s on a Pello. If you follow my blog, then you know I love Mom Company with Made in the USA products. Why? These types of businesses help put food on the table for families nearly next door and don’t require the cost and fossil fuel use to be shipped from overseas. Awesome, right? 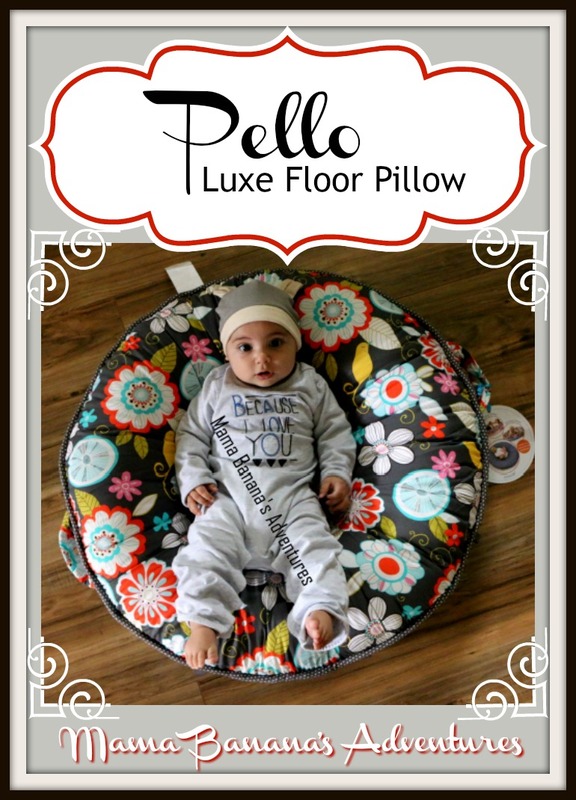 Pello is just such a company. Pello founder Cindy, raised in Texas, designed the Pello for her son. She designed, sewed and produced the first Pellos. Her business quickly grew and hundreds of Pellos later…we have our first! In addition, ALL 4 of my boys love it and now want their own. This is a well designed, well loved and prized item in our house! If you’ve ever tried a boppy breastfeeding pillow, and loved the shape but not the support it proves for baby, then this is for you. I used a boppy pillow for breastfeeding before my sons could sit up. I loved the design idea and even tried to set my son down on it a few times. To my disappointment, it wasn’t a good positioner. Why? It was too small and encouraged his chin to tuck into his chest and for an unsafe “C” position if I tried to lay him on it. The safety tag on the product even noted that it shouldn’t be used as a pillow. Made of 100% cotton and luxe brushed Poly, totally washable. My little man really enjoys his pillow. One of his favorite activities is looking at his feet and trying to get a good grip on them. I look forward to the day when he can sit supported in this pillow and know that he’s safe as he tips to the side. These pillows come in many patterns and colors, and the company is always adding new fabric choices. Please help support this Mom run company by following on their social media sites. You can also purchase these on my affiliate, Amazon.